I have to admit, watching the nomination process of Gina Haspel to become the new head of the CIA has been somewhat baffling. Liberals have been saying for years that we need more women and minorities in positions of power. In fact, just recently, Chuck Schumer (D-NY) said he would oppose a nominee for a Federal Judgeship in part because he is a white man and the judiciary needs more diversity. So, you would think these same people would be happy to see a woman be nominated to become the first female head of the CIA in United States history. Democrats are seizing on a ProPublica report from over a year ago that claimed Haspel oversaw torture at the CIA and participated in covering it up. Except it turned out that report was wrong and ProPublica had to make a retraction. Even MSNBC’s Chris Hayes, hardly a right-wing pundit, conceded this was a pretty grave era by ProPublica. Here are the facts: Gina Haspel has been with the CIA for over 30 years. She was a decorated undercover agent overseas who did such a good job that she was promoted up the chain multiple times. In 2002, she was put in charge of a major CIA prison in Thailand for Al Qaeda. Following her assignment in Thailand, Haspel served as a Counterterrorism agent in the Washington DC area and as CIA Station Chief in both New York and London. 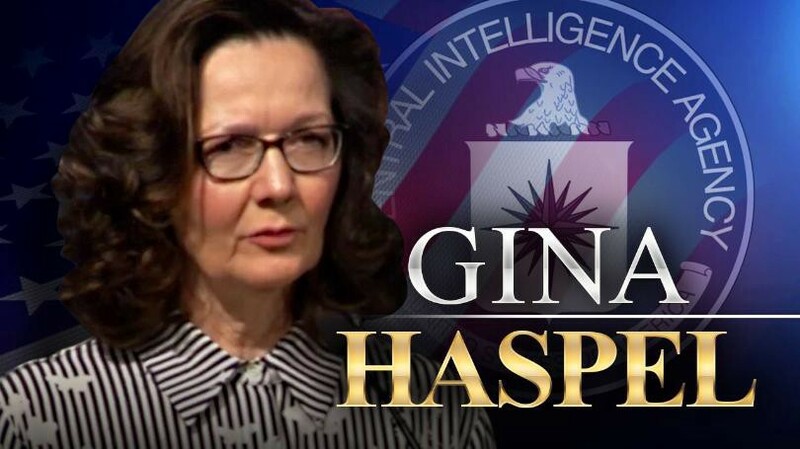 After she spent several years serving as Deputy Director of the National Clandestine Service — a unit that is tasked with fulfilling covert missions across the world — in 2013, then CIA Director John Brennan named Haspel named her head of that Service on a temporary basis. Just after President Trump came into office in 2017, he appointed Haspel to be Deputy Director of the CIA, where she would eventually serve underneath Director Mike Pompeo. And now that Pompeo has been moved into the role of Secretary of State, Haspel has been promoted to run the agency she began with as an agent three decades ago. If you think about it, this is everything liberals say they want. A woman who spent virtually her entire adult life working hard, doing a good job, moving her way up the chain, and eventually ascending to become head of the #1 intelligence agency in the country. Gina Haspel serves as an inspiration to women everywhere as an example of what it is possible for them to achieve. Her story is one about tremendous success, and you would think liberals everywhere would celebrate it. But instead, they oppose her because of politics. Let’s just be clear here: Gina Haspel has all the experience you could ever ask for and she is eminently qualified for the position. The main opposition to her — a report about her supposedly overseeing torture — has now been exposed as an error. So why continue to attempt to keep her from the opportunity to become the first female head of the CIA? Democrats cannot fight Haspel on her qualifications and they cannot make the usual “just another white man” critique, so they cling on to something else. And even when that something else falls apart, they refuse to let go. Here’s the truth: Democrats are trying to block Gina Haspel from taking over the CIA precisely because she is a woman who does not think the way they want her to. She is not in line with their agenda, so apparently, that becomes the exception to the “we must put more women in charge” mantra. More women, please. But only the kind of women THEY want. Otherwise, she might as well be just another white man. And we know how Chuck Schumer feels about those. This charade needs to end now and Gina Haspel should be confirmed quickly. There is no valid reason she should not be, and the longer the Democrats continue grasping at straws trying to keep her out, the easier it is to see their antics for what they really are. A sham designed to keep a hard-working qualified woman from a job she earned. Just remember that the next time these same people whine to you about the right’s war on women. There’s a war on women alright — specifically this woman — but those shots are coming from the phonies on the left side of the aisle.